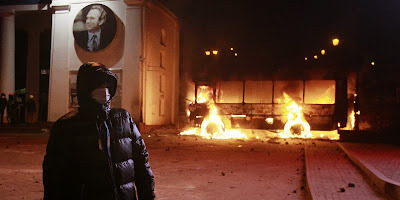 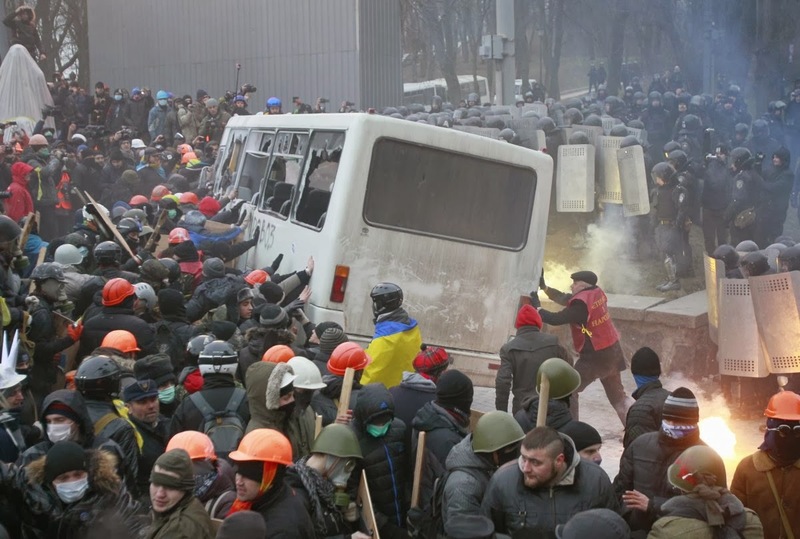 The protests began there in December, shortly after President Yanukovych made an unexpected U-turn on plans that could have eventually seen the country join the European Union. Instead, Yanukovych began to look toward Moscow and President Vladimir Putin's dreams of his own Eurasian Union. The anti-protest laws may, however, mark a turning point in the protests. While protests in the past had been mostly peaceful, Sunday has been notably violent. Live videos from the scene showed protesters clashing with police officers and loud explosions. 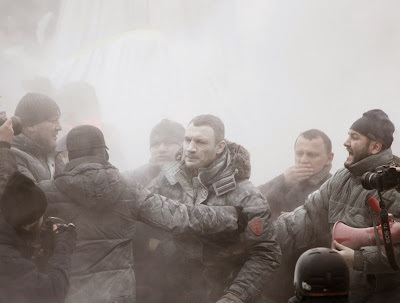 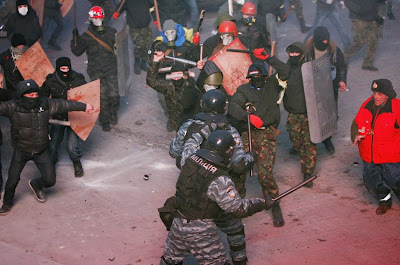 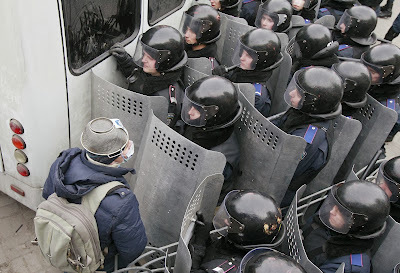 Pro-European integration protesters clashed with Ukranian riot police during a rally near government administration buildings in Kiev January 19, 2014. 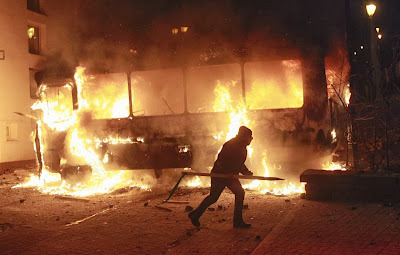 Protesters attacked riot police with sticks and tried to overturn a bus blocking their path to parliament, as up to 200,000 Ukrainians massed in defiance of sweeping new laws aimed at stamping out anti-government demonstrations.